Looking for a convenient and affordable way to achieving a confident new smile? 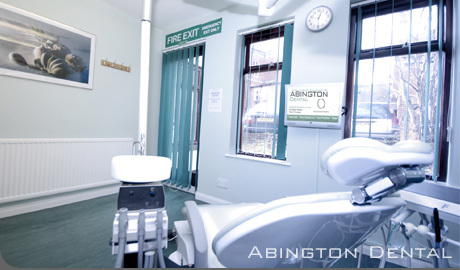 At Abington Dental you will have the latest cosmetic and routine dentistry treatments available in the UK. Preventative techniques to reduce decay and gum disease. Production of study models when required. All subsequent remedial worth within 12 months of recommended restorative work. 20% reduction off any laboratory-based treatments required, i.e. : crowns, bridges and dentures. We believe that quality dentistry should be accessible to everyone. Our monthly payment plan offers you a comprehensive programme to help ensure you benefit from healthy gums, fresh breath and outstanding oral health. We are delighted to offer the Dental Care Plan- our own membership scheme, which enables us to provide you with the treatment and support necessary to control dental disease and restore your mouth to full fitness. Children are born free of dental disease, yet by adulthood a significant proportion of the population had active gum disease and most people have experienced some tooth decay and even tooth loss. Disease can be prevented. Our aim is to provide your child with the best dental care available to secure their dental health. We ask patients to bring their children with them from birth so that we can see them regularly to help them grow up free from dental disease. For more information on the best options for your child’s dental care please ask a member of our team. Emergency Callout – cover can be provided by any dentist worldwide who agrees to treat you. You simply pay the emergency callout charge to the dentist concerned and collect a receipted invoice. This will then be processed through the practice for reimbursement from the insurers and you will be refunded the callout fee, minus the excess, up to the policy limits. This cover is to provide immediate pain relief only; no additional or restorative treatment fees can be claimed. You should return to the practice in normal hours for any further treatment required. Dental trauma – cover is provided should you be unfortunate enough to suffer a dental trauma, for example, as a result of a road traffic accident or an accident at home or at work. The insurers will settle the claim up to the policy limits and you will need to pay any relevant excess. Permanent Facial Disfigurement – benefit is provided should you be scarred on the neck or face a result of the accident. Oral Cancer – a payment will be paid upon diagnosis of oral cancer. Redundancy Protection (not included in the Registration and Insurance Scheme) – Plan premiums paid for up to one year. A leaflet giving detail of the insurance cover, limits, excesses and exclusions is available at the practice. Practice staff are permitted to provide you with information about the insurance that is included in your Plan on behalf of Practice Plan Limited, The Plan Administrator. However, practice staff are not permitted to give advice about the insurance, eg: to compare this insurance with other dental insurance on the market. If you have any questions about this insurance then please call Practice Plan Limited on 01691 677954. For Plan member whose additional treatment costs more than £500, we offer the convenience of being able to spread the payment over a number of months by simply adding the fee to the existing Direct Debit. Please note our normal discount rate is reduced from 20% to 10% when the Extended Payment Scheme is used. Therefore, the total amount payable will be more than if you pay on the date of your treatment. A deposit may be required. Use of the Extended Payment Scheme is entirely at the discretion of the dentist. Our staff will be pleased to discuss the details with you.